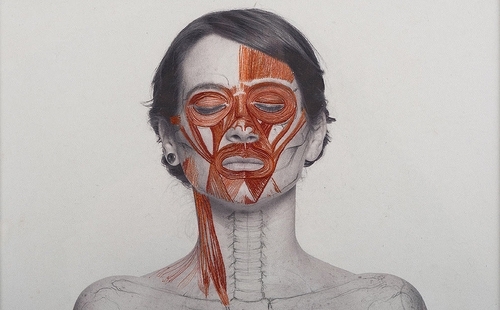 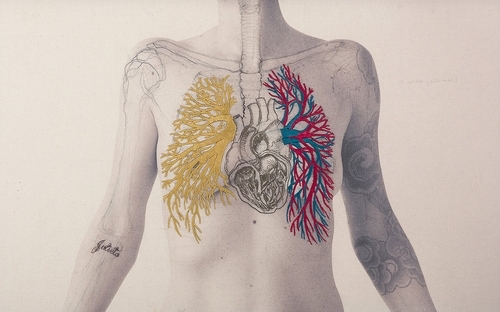 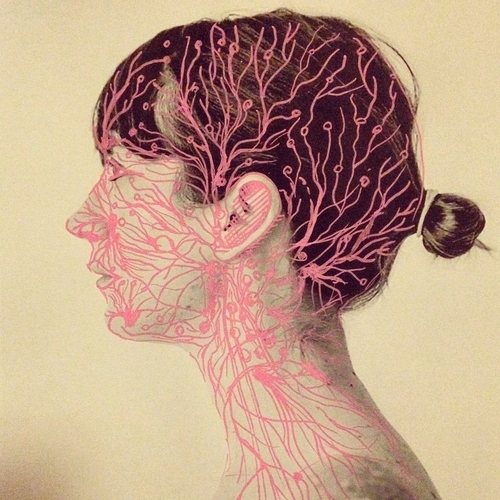 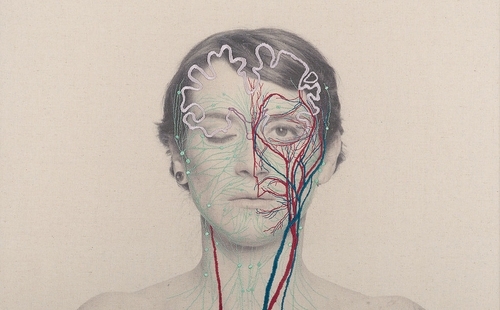 Chilean Visual Artist Juana Gómez, brings human Internal Physiology to light with these anatomical representations. 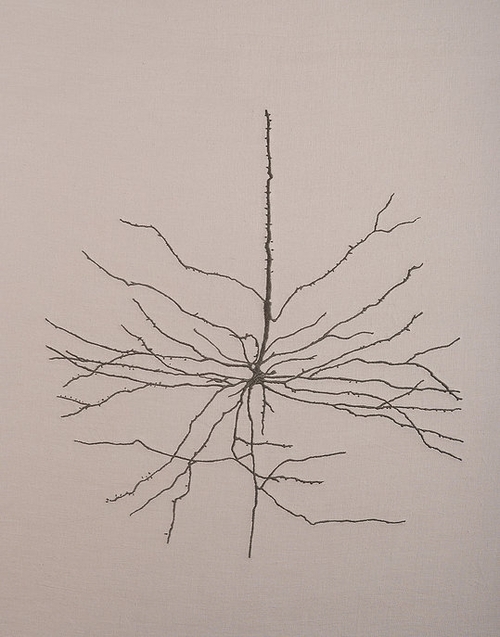 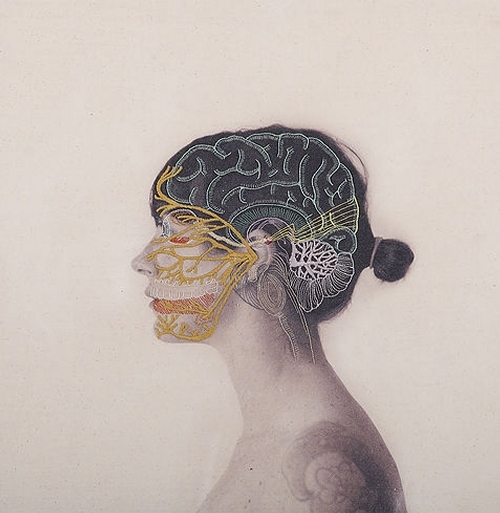 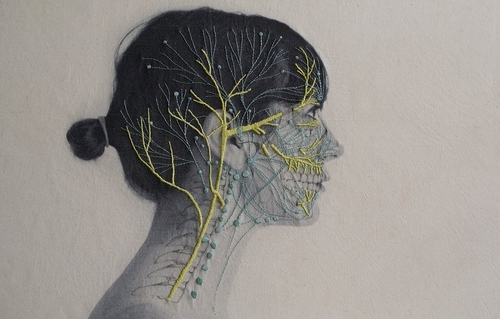 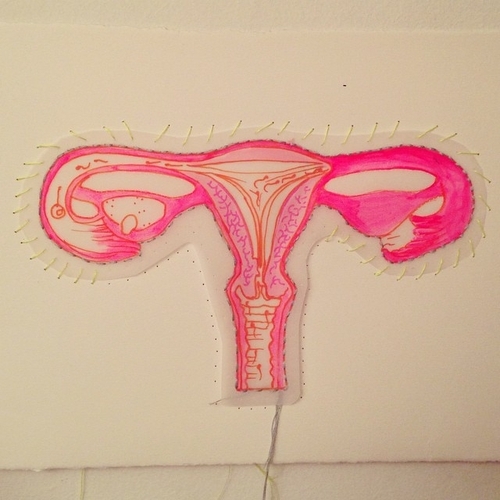 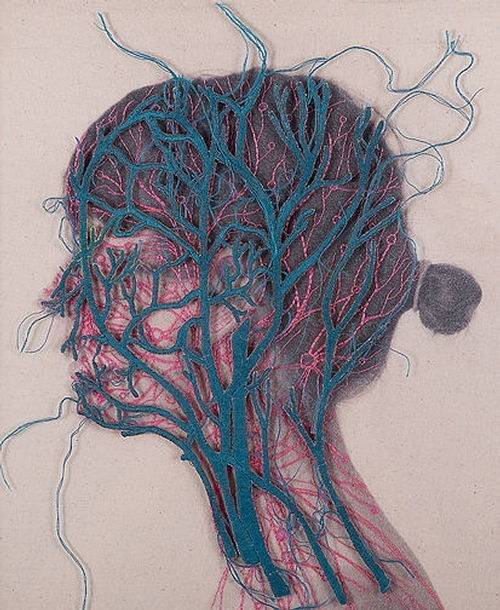 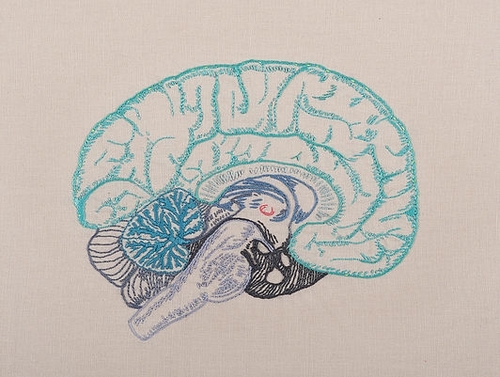 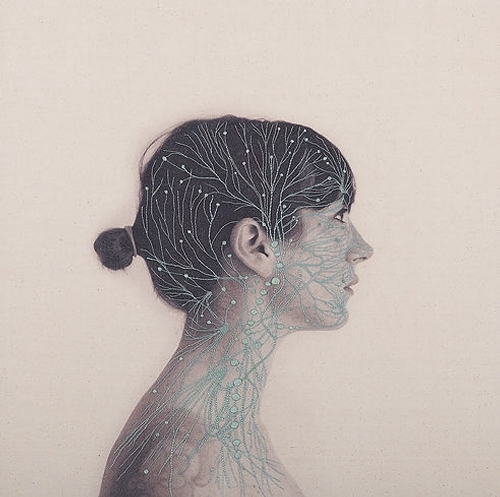 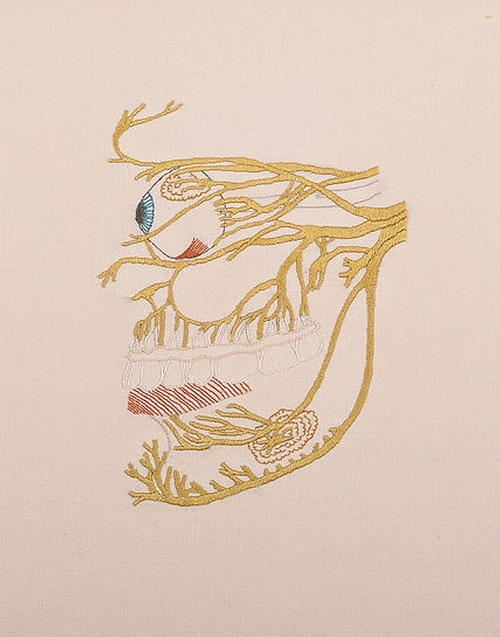 She achieves this result by printing a photo on canvas and retouching or adding to it with drawings, over which she embroiders the particular anatomical detail. 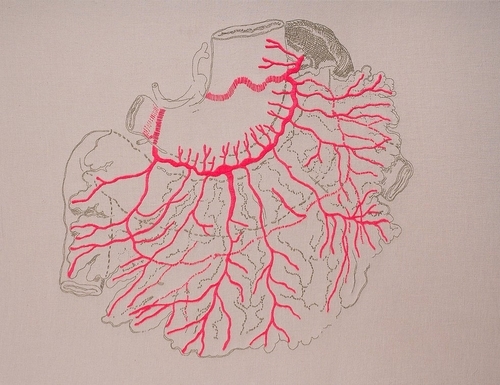 Gómez explains it best "These embroideries are based on the repetition of a structure governing the organic and inorganic world" an example of each is the Tree and the course of rivers and its tributaries, even new technology is making use of nervous system paths and connections to design processors for computers of the future.